One in every three people needing help in the Middle East is Yemeni. Among them are 840,000 acutely malnourished children who need urgently help. Bordering Saudi Arabia, Yemen is the poorest country in the Arab world and home to one of the most powerful branches of al-Qaida, which claimed responsibility for the January attack on France’s Charlie Hebdo newspaper. “This is actually a very critical time … The 16 million people who are already struggling are going to struggle even more, and that number will presumably grow as others find themselves falling into the poverty trap,” Pritchard said to the Guardian. 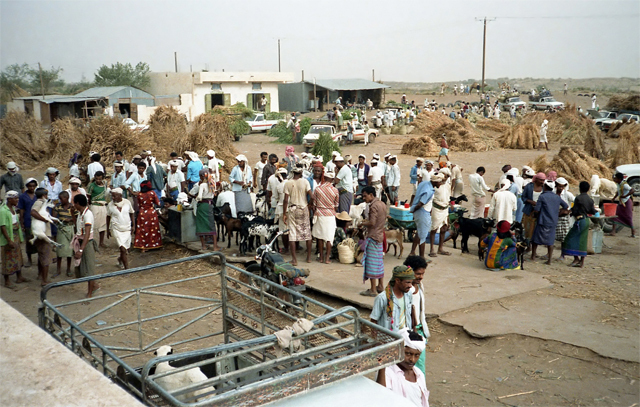 Yemen remains despite its humanitarian situation an important destination for more than 91,000 (2013) refugees from countries as Somalia, Ethiopia, Eritrea, Iraq and Syria. “We are trying to warn the international community that this is possibly going to happen … We would hope that a number of wealthier regional players would step up to the plate and help,” so Pritchard.